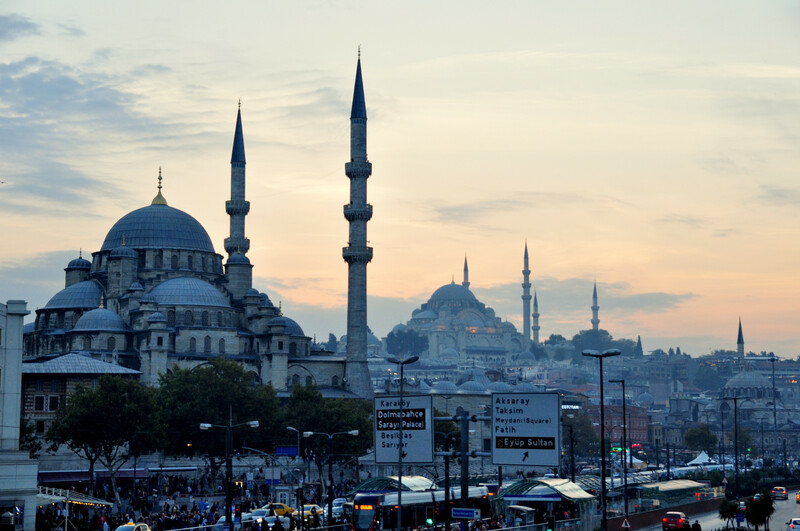 You will see many beautiful mosques and elegant minarets surrounding the mosques during your visit to Istanbul. Minarets were designed for muezzins to walk up to one of the balconies in order to recite the call to prayer. Today loudspeakers can be found in balconies. Contrary to what many people think, sound arising from mosques is not a recording. Each mosque has a muezzin inside who are reciting the call to prayer through a microphone. When you visit Istanbul, you will probably visit one of the Ottoman Imperial Mosques like Blue Mosque or Suleymaniye Mosque. 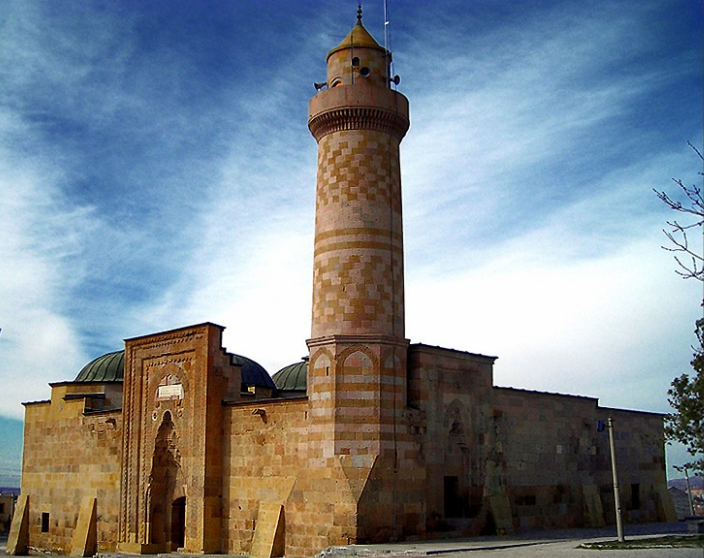 Muezzins with the most beautiful voices are assigned to these mosques. Especially muezzins of Hagia Sophia and Blue Mosque reciting at the same time are worth listening to. 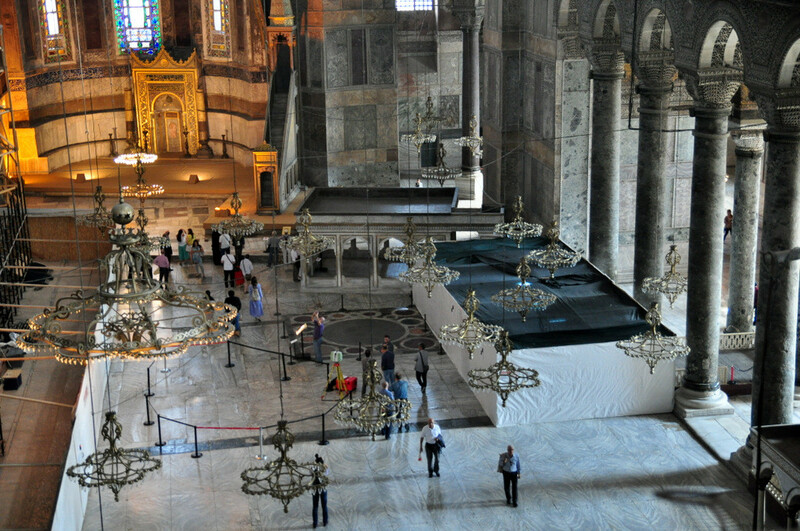 Although Hagia Sophia is a museum today, people can pray in the small masjid next to it. That is why, muezzin is reciting call to prayer in Hagia Sophia. I will talk about the details of additional structures around the mosque and traditional architecture inside the mosque. 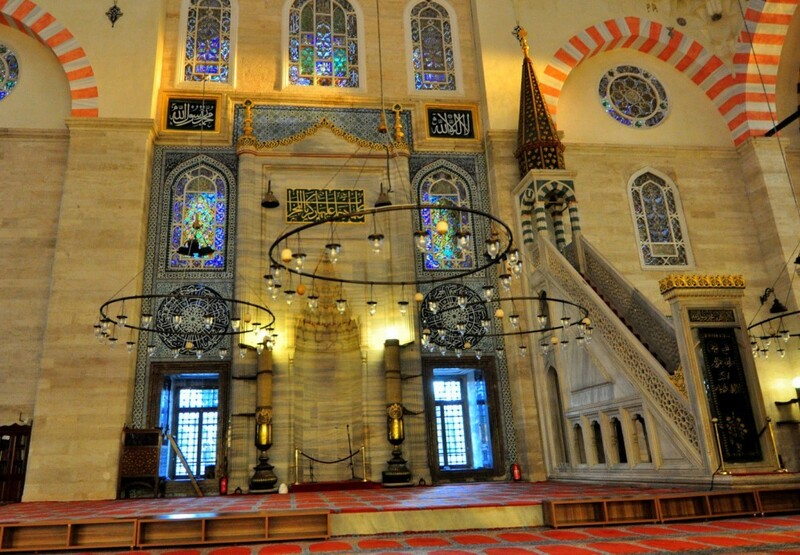 The first mosques built in what is known as Turkey today date back to 11th century. Seljuk Turks arrived to the eastern borders of Byzantine after the great migration in the Asia. Having won the Battle of Manzikent, Seljuks penetrated into Anatolia. In this period, many mosques were built there. These mosques looked different than the mosques of today. Turks migrating from the Central Asia had an architectural style similar to that of the Mongols. 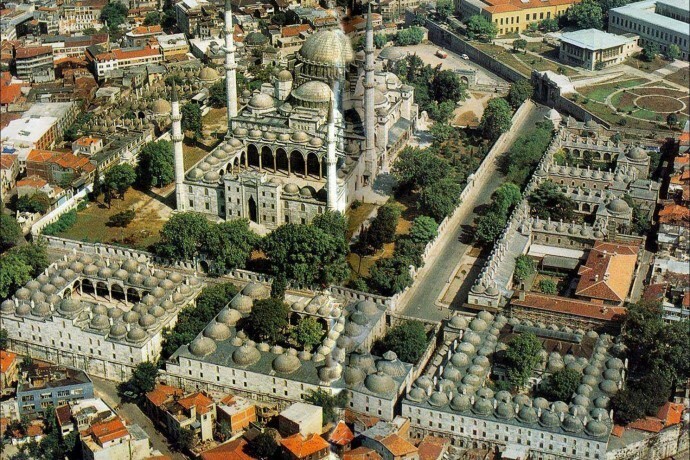 If you want to see miniatures of these mosques, you can visit the open air museum called Miniatürk. Ottoman Empire which ruled after the Seljuks adopted a different architectural style after capturing Istanbul. 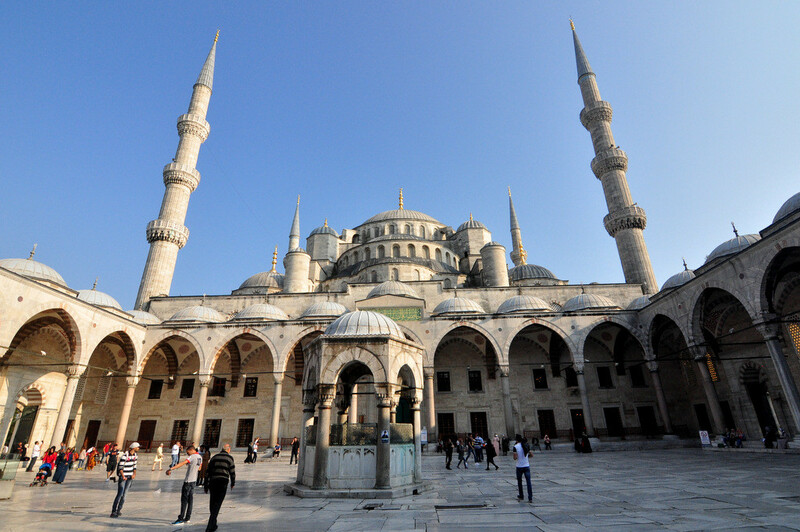 This new style was heavily influenced by Hagia Sophia. This influence can clearly be seen in the classical structures built between 1501 and 1703. The works of the most important architect of Ottoman Empire, Sinan The Architect, give a clear indication of Hagia Sophia style. 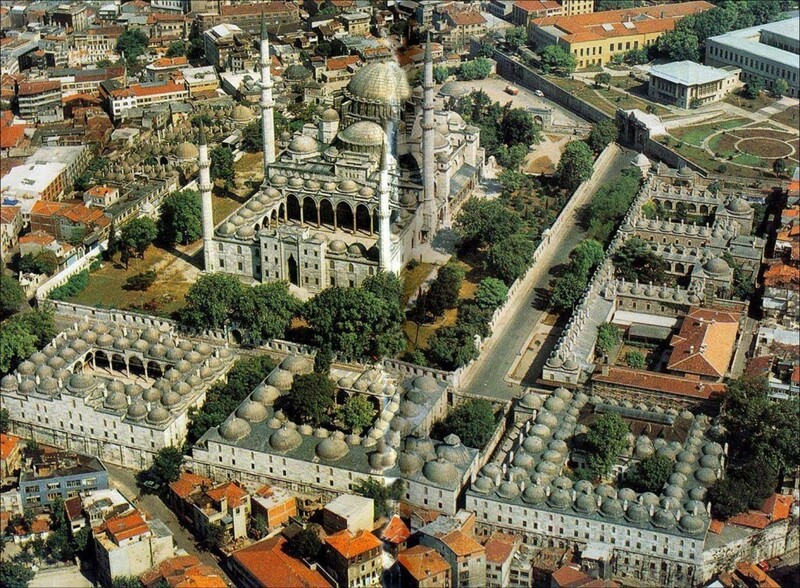 The clearest distinction of Ottoman mosques is that they are a social complex, not only a place of prayer. Avlu — Avlu means the courtyard. Historically, in the warm Mediterranean and Middle Eastern climates, the courtyard served to accommodate the large number of worshipers during Friday prayers. Şadırvan — Ablution fountain in the middle of the courtyard. Later, the taps were set in a more discreet part of the mosque. Mihrap — A niche in a mosque wall indicating the direction of the Mecca (Kaaba). This is the direction that worshippers should face when praying. Mimber — The pulpit positioned right next to the mihrap. The imam (Mosque Officer) uses the mimber to deliver the Friday sermon. Muezzin’s Lodge (Müezzin Mahfili) — This raised platform is found in the historical mosques and is positioned mostly in the right side of the nave. The müezzin stands on this lodge to give responses during the imam’s preaching. The muezzin is also the person who calls for prayer five times a day. Sultan’s Lodge (Hünkar Mahfili) — A screened balcony where sultans and their family could pray. You can only find these balconies in the Imperial Mosques. A sultan has no superiority over an ordinary man when it comes to pray. This was a precaution taken to prevent assassins. İmaret — Basically a public soup kitchen. A kind of alms house providing health care and clothing, also with a kitchen to prepare food for mosque officials, visitors from other cities and the poor. 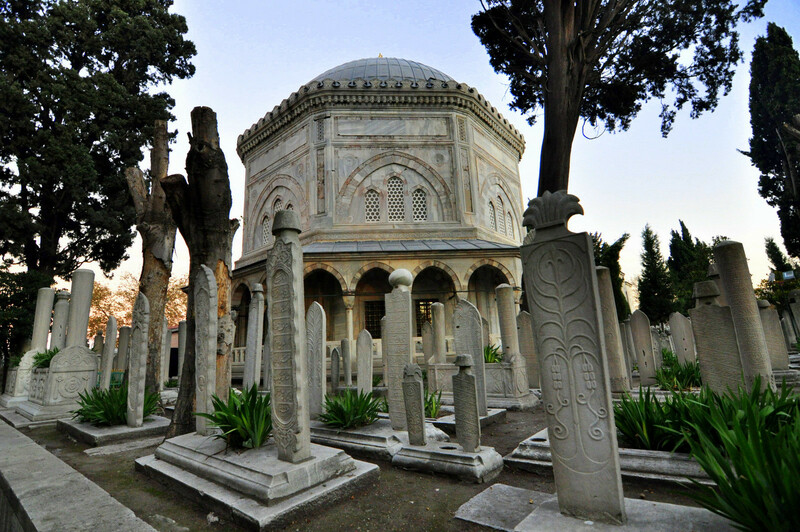 Türbe — Tomb, mostly belongs to the person who built the mosque, ordered to built the mosque or the important state or religious person of that time. Kervansaray — Caravanserai is a roadside inn with a very large courtyard. These inns provided a place for travelers to rest and recover from the day’s journey. Caravanserais also supported the flow of commerce, information, and people across the network of trade routes. Especially the Silk Road.